An ongoing debate these days is whether to upgrade to Windows 10 now or not? The latest Microsoft operating system will soon be the last man standing in the market, especially with word that Microsoft is set to kill the product life of two current OS versions that were included as pre-installed variants – Windows 7 and Windows 8.1. There are some who remain hesitant to take advantage of the Windows 10 upgrade option, many believing that bugs are still bound to come out somewhere along the way. Based on previous Windows OS released in the market, that is already a given and the worst case scenario is for one to end up formatting and then re-installing the entire Windows operating system. But this is the easy part. The hard part is when you figure out that you are unable to retrieve your precious data and files just in case your PC or laptop goes on the blink. There are restoration procedures available but the thing is that it restores your work station only from the last time you backed it up. If you failed to back up data, the most likely scenario is seeing your PC reverted from the first day it was up and running. Such is a dreaded thing to think about so the call for making constant backups either through a PC’s slave drive, compact discs, portable hard drives or the usual flash drives is necessary. Depending on how frequently you use your computer, the space necessary to store those precious files may vary. Going back to the issue of operating systems of preference, it is a given that not all Windows operating systems are free from issues. Bugs will suffice and like it or not, you may at some point end up re-installing the operating system altogether. So with that in mind and if you had a choice, why settle for installing older operating systems which may come with bugs when you can place the current Windows 10 and then worry just the same? This is not to say of course that Windows 10 is perfect but in case you format and something goes wrong, you have technical support able and ready any time until the next 2 to 3 years at minimum. Hence, if bugs and issues are a concern, it is best to deal with them with ready support. So if you have the chance, it will definitely be better to get hold of an authentic Windows 10 OS from reliable retailers such as redboxsoftware.com. We offer both Home and Pro edition in 32-bit ot 64-bit. You also get an additional $5 off by using the Promo Code Download5! If you are still unconvinced and delay an upgrade to Windows 10 now, well the good news is that we also offer previous OS versions. But do remember that you are gambling with older operating systems that may be cheaper but with possibly end-of-life support. If something goes wrong, your options of resolving various issues are not as positive compared to a Windows 10 installation. 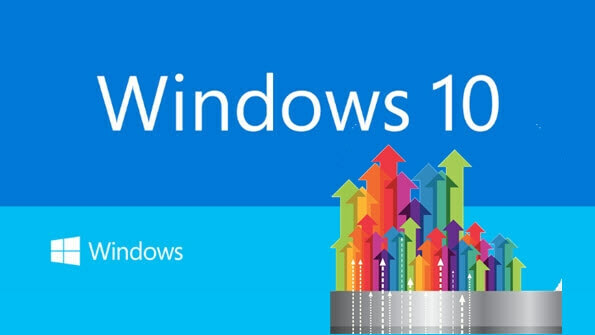 Click here to get your own Microsoft Windows 10!